We want to thank everyone for their overwhelming support. Unfortunately the Council decided not to pass our stable funding. Please sign the petition to support a sustainable, local funding source for Clark CD! We'd love to hear from you. 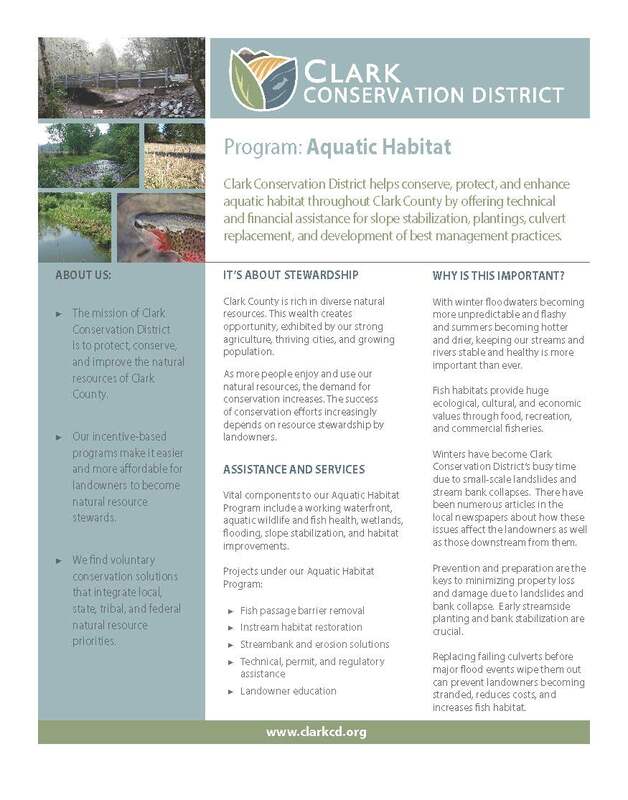 Clark Conservation District is asking property owners to support a system of rates and charges to provide services needed to protect the water, soil, and other natural resources of Clark County. We will be asking for your support in the coming months. Please feel free to sign up for updates! 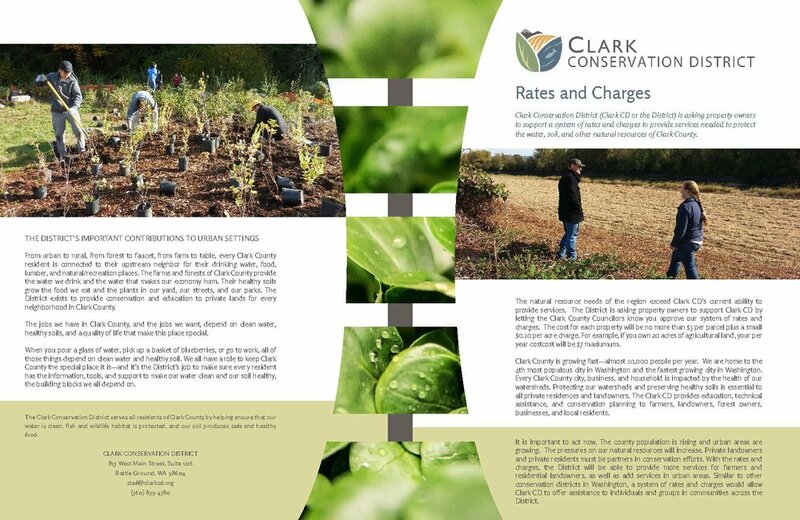 Clark County developed a report reviewing our rates and charges proposal. The report states that our work is a public benefit that, under rates and charges, would outweigh the cost. Read the report here. Columbian article about rates and charges and our funding situation. Please help us by writing a letter of support! We have a template and information available here. Why are rates and charges important? Why now?